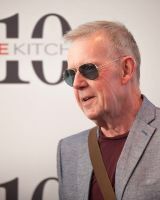 Guy established Cole Kitchenn as a production company over 40 years ago, with David Cole and they managed and/or produced more than 55 productions in the West-End. Their productions won countless Laurence Olivier, Evening Standard and Whatsonstage.com Awards and nominations (including 5 Best Musical Award wins) and some of their biggest hits included the original production of ME AND MY GIRL, Disney's BEAUTY AND THE BEAST, the transfers from Broadway of Michael Blakemore's KISS ME KATE, the multi award winning DEATH OF A SALESMAN and the original London production of MACK AND MABEL. In 2012, company founder Guy Kitchenn was appointed Executive Director of the St James Theatre. He oversaw the opening of the theatre and first two years of programming which included productions that were nominated for Whatsonstage and Laurence Olivier Awards. In 2015, Guy returned to freelance producing and has several projects in development with former St James Theatre Artistic Director David Gilmore.